Where is the Cast of the Live Action Sailor Moon Today? Can you believe that, in a little over a week, the live action version of Sailor Moon will be turning 14 years old? Yes? Okay, well, it’s still quite surprising for me at least. 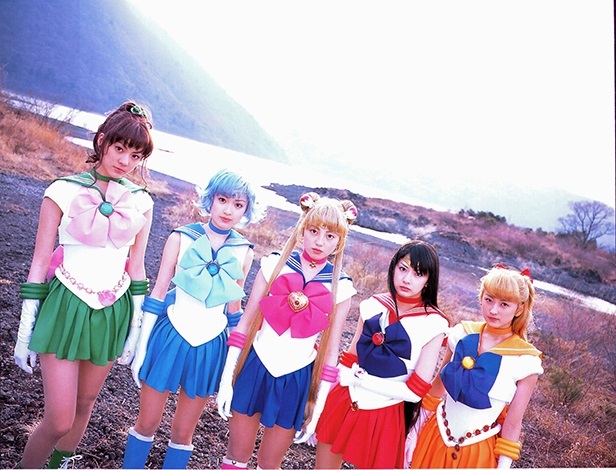 In honor of the upcoming anniversary, now seems like as good of a time as any to follow up with our favorite live action pretty guardians and see what they’ve been up to in the years since they had to leave their sailor uniforms behind. Now would probably be a good place to address the pink elephant in the room, and that’s the fact that I generally don’t discuss the live action series (hereinafter, “PGSM“) except where it impacts the series lore. The reason for this is quite simple: while the 1990s anime and the manga differ from each other quite a lot, since they were being developed at the same time – and story development meetings were being carried out between Ms. Takeuchi and Toei1 – I generally consider those two to have a shared continuity. Case in point: we know in the anime that Mamoru’s parents died a horribly, grisly, tragic death when he was six years old. The manga says that this happened on his sixth birthday. Absent any contradictions (like pretty much anything and everything concerning Rei), I’d be willing to say that the universes share a common story and you can apply information between them. The same, however, is not true for the Sailor Moon musicals or PGSM. Their stories generally deviate so far off of the ‘main canon’ that I don’t think you can really apply much. And that, ladies and gentlemen, is a really long aside for why I don’t talk about PGSM much. Basically, it needs to be analyzed totally separately. But that has nothing to do with the stories behind it! So, with that all out of the way, let’s take a look at what the cast of PGSM is up to nowadays! 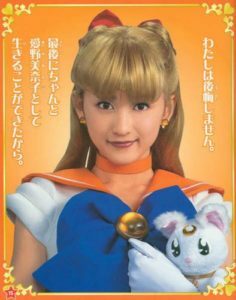 While her role as Usagi Tsukino may be one of her most famous, Miyuu Sawai2 had actually started work as a model in 2001, when she was scouted out in Yokohama at the age of 14. Previous work included fashion magazine appearances and work in commercials, including one for Tokyo Disney Sea. Surprisingly, she’s actually be quite active in theater since 2010 (her first performance was in 2006), appearing in 17 shows since then, with her most recent appearance being a “guest of the day” in the Happy Hardluck musical July 1, 2017. Glad to know she’s still active! Rika Izumi3 is a bit of an odd character, in that she’s actually worked under quite a few different names (though most were just different kanji) since first joining at talent agency in 2003 at the age of 14. She’s probably best known under the name Chisaki Hama, which she used when she was playing the role of Ami Mizuno and made her first fashion magazine debut in the mid- to late-teen-focused “melon” magazine. And, quite surprisingly, she even has a 2018 calendar on the way. 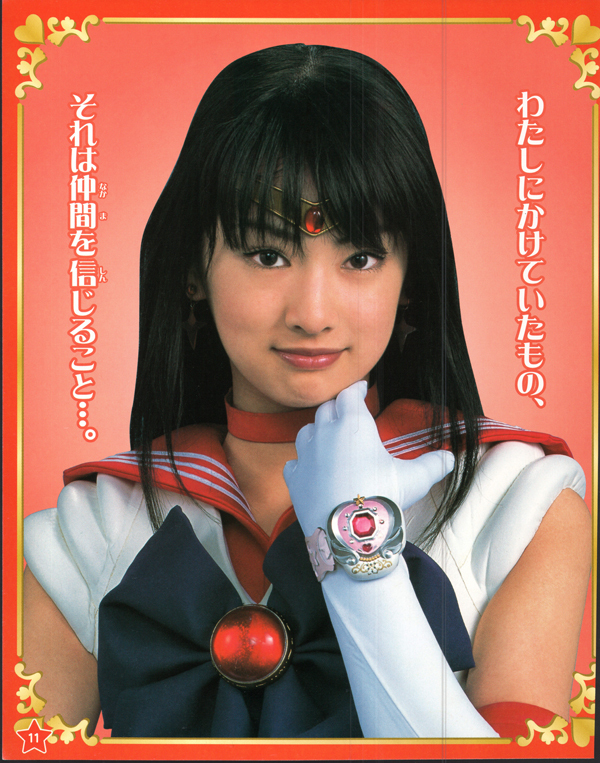 So if you’re interested, order now and enjoy… 12 whole months of Rika Izumi? Once again, it’s nice to see that she’s still pretty active! Keiko Kitagawa4 is probably one of the most active and – at risk of sounding dismissive and rude – successful out of all of the PGSM cast. Her career also started in 2003, with her auditioning with the magazine Seventeen and even being selected as “Miss Seventeen” for that year. Combine that with her acting debut in the show and 2003 was a pretty good year for her! Looks like she’s had a lot on her plate since the show has ended! As an aside, there are rumors going around throughout the internet that Keiko is ashamed of her time on PGSM – a so-called 黒歴史 (kurorekishi; something in your past you’d rather forget). However, there’s really no substance to this rumor. She gets asked about it in interviews and responds, she lists it on her official website, and she still meets with the other PGSM girls. There’s also a rumor that she’s a heavy smoker. But that’s neither here nor there. So anyway, good job Keiko! 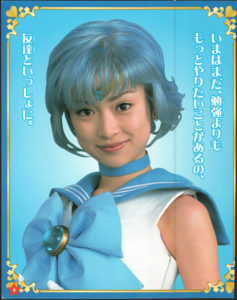 Hands down, the one with the longest career in the entertainment world is definitely Mew Azama.7 She joined the Okinawa Actor’s School in the fourth grade, where she took singing and dancing lessons, and was a member of the group B. B. Waves.8 In her second year of high school, she moved to Tokyo to pursue a modeling career. Her earliest work is apparently an appearance in a 1998 Gameboy Pocket Camera commercial as a member of B. B. Waves, and her earliest work on her own would probably be when she was selected as 2002 Miss Seventeen for Seventeen magazine – one year before Keiko Kitagawa! Incidentally, even though her name is written as Myu (and legally is written out that way), she signs her name as Mew, asserting that she was in fact named after Kyoko Koizumi’s 1986 smash hit, MEW of Dawn. The song came out 5 months before she was born and ranked second in the weekly charts. 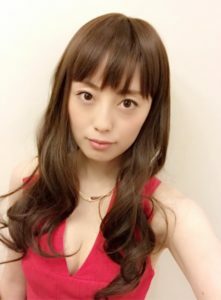 Yet another newly scouted model/actress upon making her debut in PGSM, Ayaka Komatsu10 has a pretty interesting history. 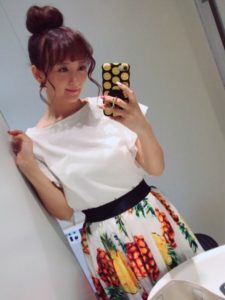 Not too dissimilar to Minako, she was pretty sporty in school, playing basketball throughout elementary school and joining in track and field, and joining the table tennis club in junior high and high school. According to her blog, she has two older brothers, one of whom works as a groundskeepers at Tokyo Disneyland. Possibly more importantly, though, she’s a self-professed Care Bears mega fan and collects everything related to it… so that makes her pretty awesome in my book. Though 2017 has been a quiet year for Ayaka, I’m still glad to see that she’s enjoying a pretty active career! 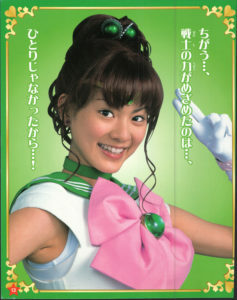 And, there you have it — a look at where our favorite live action Sailor Soldiers12 are in their careers today! Hopefully you’ve found at least something interesting here and, maybe, even are inspired to look up some of their other works to continue to support these wonderfully talented actresses and models. They really did an amazing job bringing the Sailor Team to life, and I’m always excited when I see them crop up again in the media. With that said, who was your favorite PGSM actress? Do you still follow any of them today? 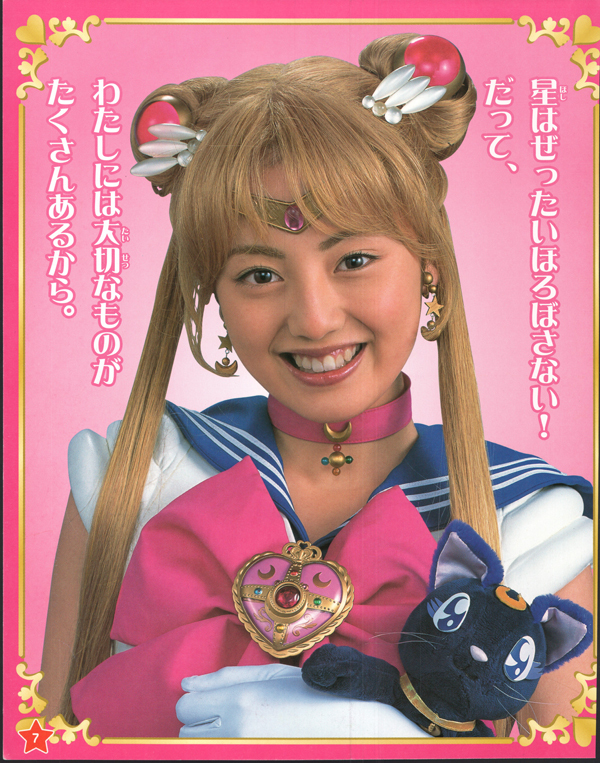 ← What Was it Like to Record Audio for the Sailor Moon S Movie? Yep! They’ve all had pretty prolific careers, but I tried to keep it to the most recent stuff only. Keiko Kitagawa’s definitely the most “out there” in terms of career out of all of them, though! Thanks for the articles. I find it amazing that they’re still friends and manage to get together every now and then. I follow Rika and Mew on instagram they seem like very successful fashion models. Also there’s Rina Koike (Luna) and Alisa Durbrow (Kuroki Mio) who’ve become models too! I really wanted to talk about Rina Koike, but a lot of her work is on the… well, let’s just say more racy end of the spectrum, so not exactly all that family friendly. Still, I’m quite impressed that most of the cast still have pretty successful careers!